After a whirlwind 24 hours in Ireland, Prince Harry and Meghan Markle have jetted back to the UK. 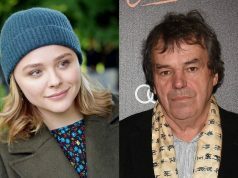 Their arrival brought Dublin to a standstill, as the couple packed as much as they could into their very busy schedule. 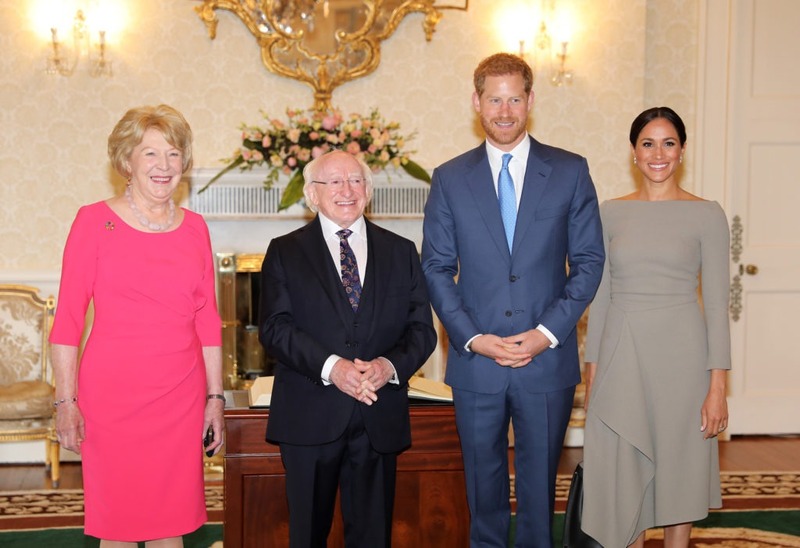 From meeting President Higgins at Arás An Uachtaráin, to fine dining on Dublin’s Camden Street – the Duke and Duchess of Sussex caused a lot of excitement during their fleeting visit here. So upon their return to the UK, we’re taking a look back at some of the most memorable moments from their trip. At around 5pm on Tuesday, Prince Harry and Meghan touched down in Dublin airport via private jet. 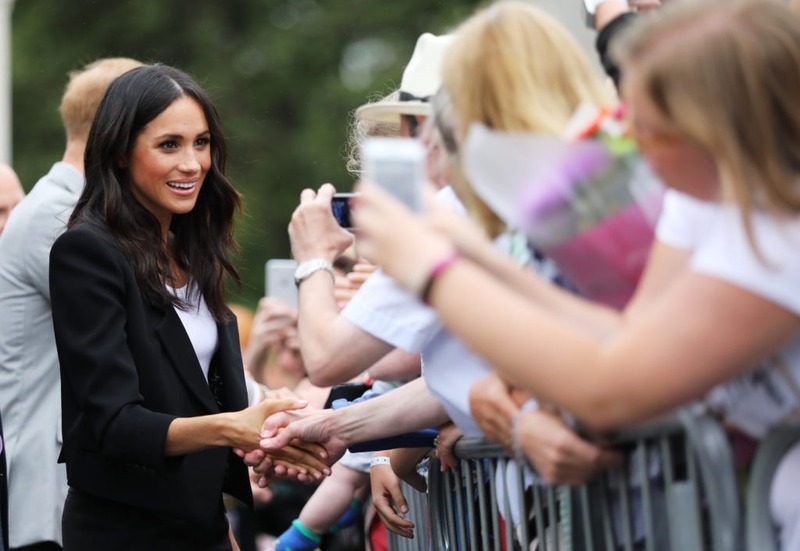 As always, Meghan stunned in a forest green Givenchy dress, as she and Harry waved at the waiting media. 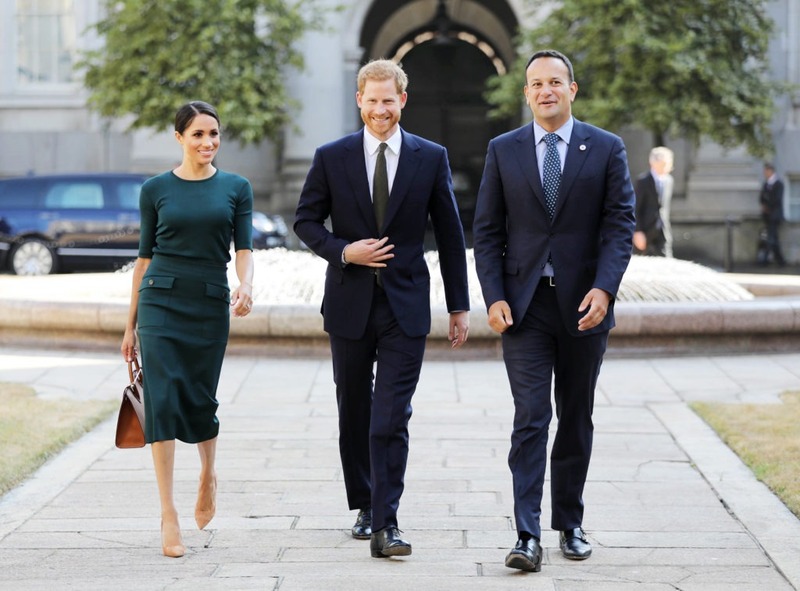 After touching down in Dublin, the Duke and Duchess of Sussex were greeted by Taoiseach Leo Varadkar at the Government Buildings. 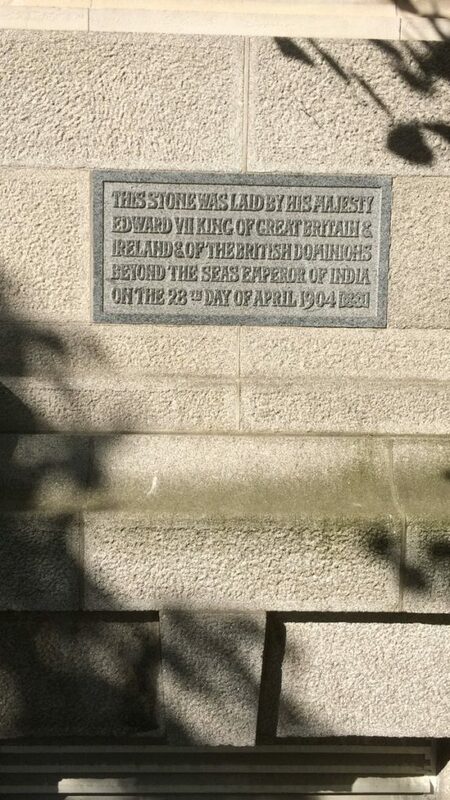 Leo gave the pair a tour around the grounds, and showed Harry a plaque which was laid by his great great great grandfather, King Edward VII. 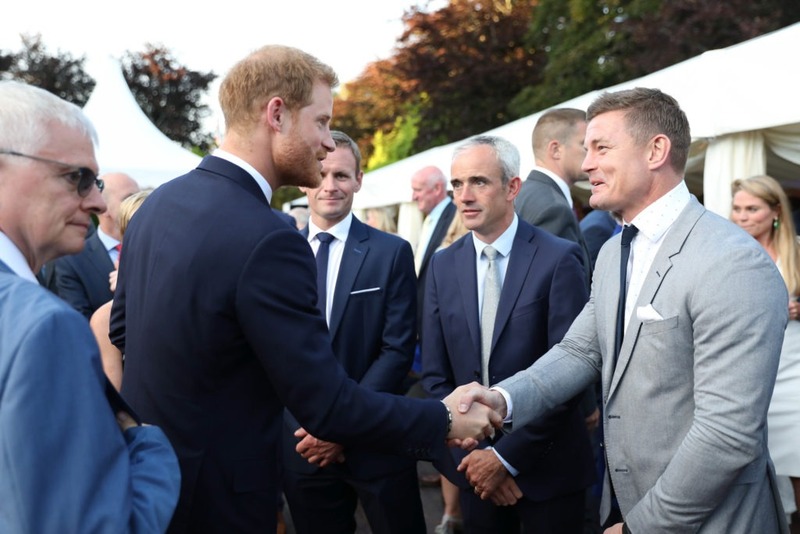 During their private meeting with the Taoiseach, Prince Harry reportedly suggested that the Irish Defence Forces could participate in the Invictus Games. 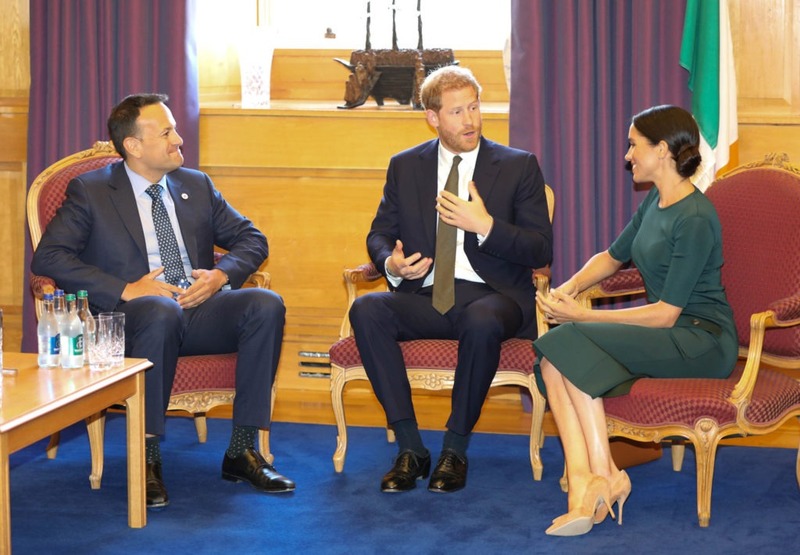 Meghan also noted that she’s an honorary member of ‘the Phil’ in Trinity College, and went to the same Chicago university where Leo Varadkar’s partner Matt works. 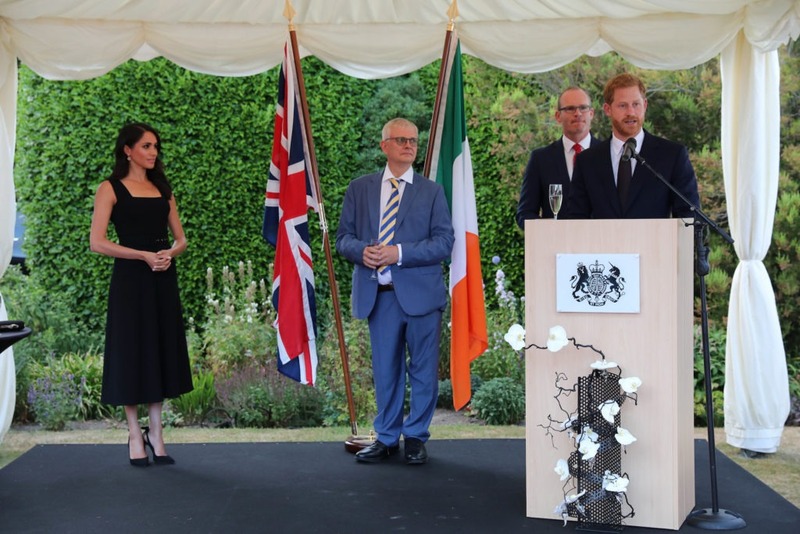 After meeting Leo Varadkar, the Duke and Duchess were whisked off to the British Ambassador’s residence in Glencairn for a summer garden party. 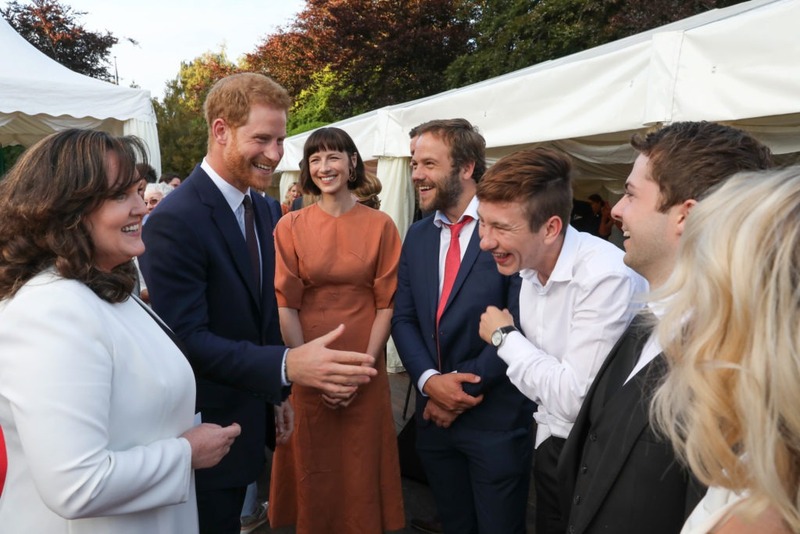 The event was attended by leading figures from Ireland’s arts, sports, military and social enterprise sectors – and there was plenty of famous faces spotted at the bash, including Brian O’Driscoll, Amy Huberman, Lucy Kennedy, Barry Keoghan, Bressie, Aisling Bea, Caitriona Balfe, and many more. 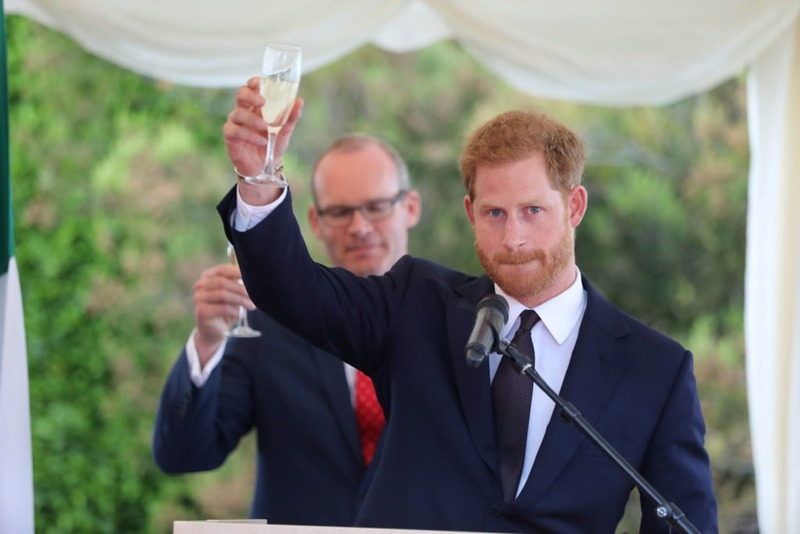 Harry delivered a touching speech at the event, in which he addressed the UK and Ireland’s “challenging, and at times tragic” relationship. The Duke also spoke some Irish during his speech, as his stunning wife looked on. Meghan wore a chic black Emilia Wickstead dress, which raised some eyebrows as the designer previously criticised her wedding dress. 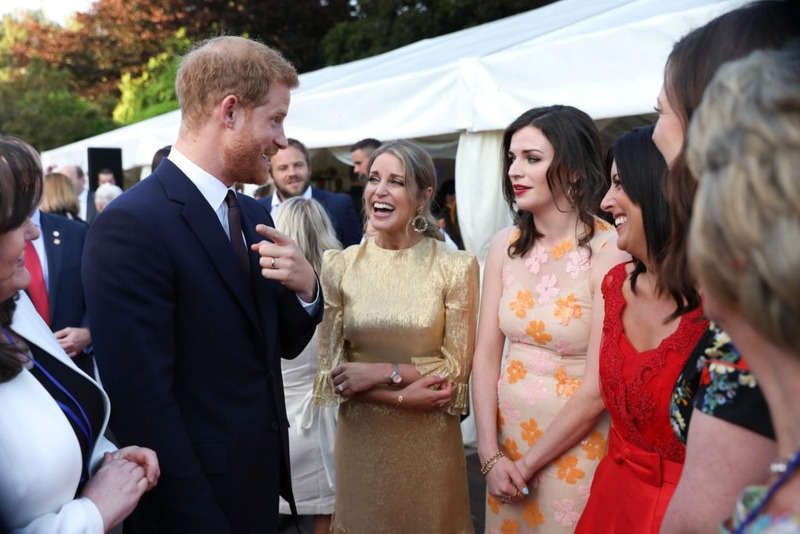 The Duchess of Sussex rubbed shoulders with plenty of people at the British Ambassador’s Garden Party, including CervicalCheck campaigner Vicky Phelan. 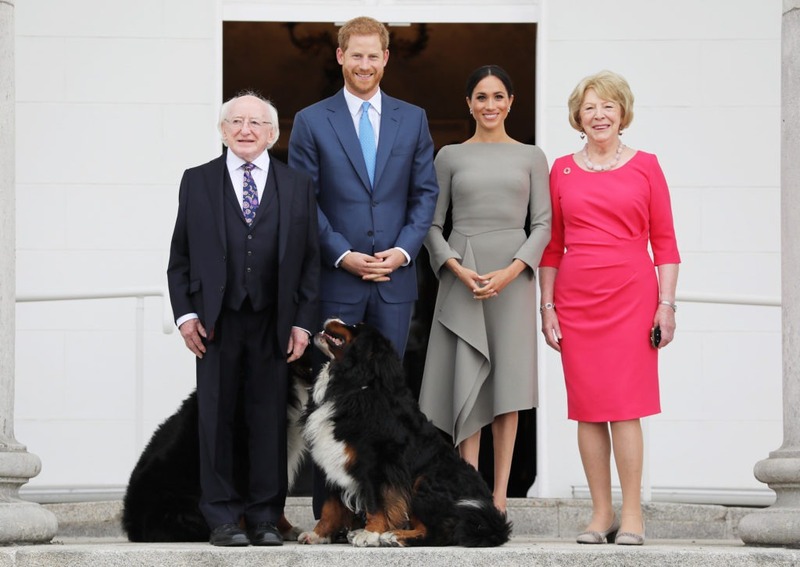 To kick off the second day of their Irish visit, Prince Harry and Meghan met President Michael D. Higgins and his wife Sabina at Arás an Uachtarain. 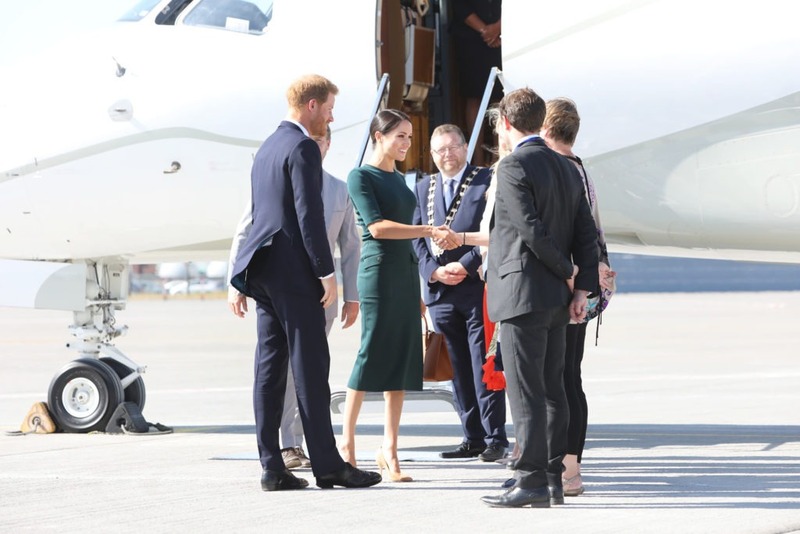 Meghan opted for a Roland Mouret dress, which featured her favourite boat neckline. 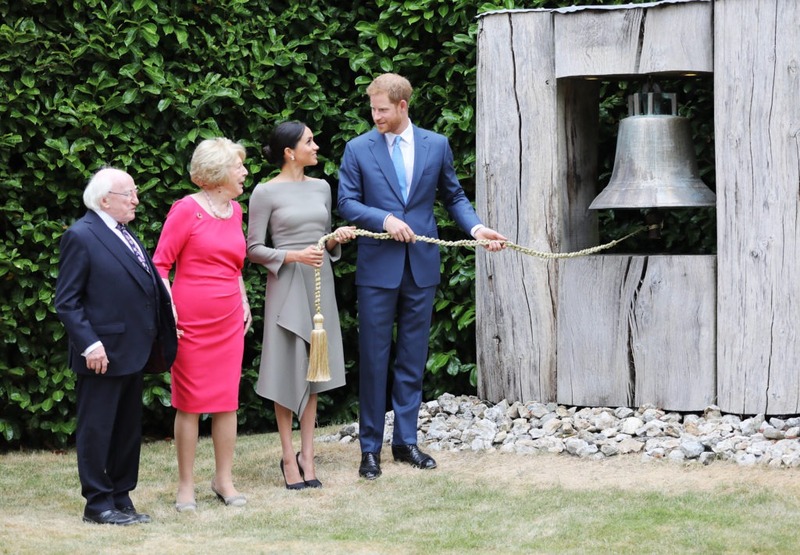 After signing the visitor’s book, the Duke and Duchess of Sussex rang the Peace Bell made to mark the 10th anniversary of the Belfast Agreement. 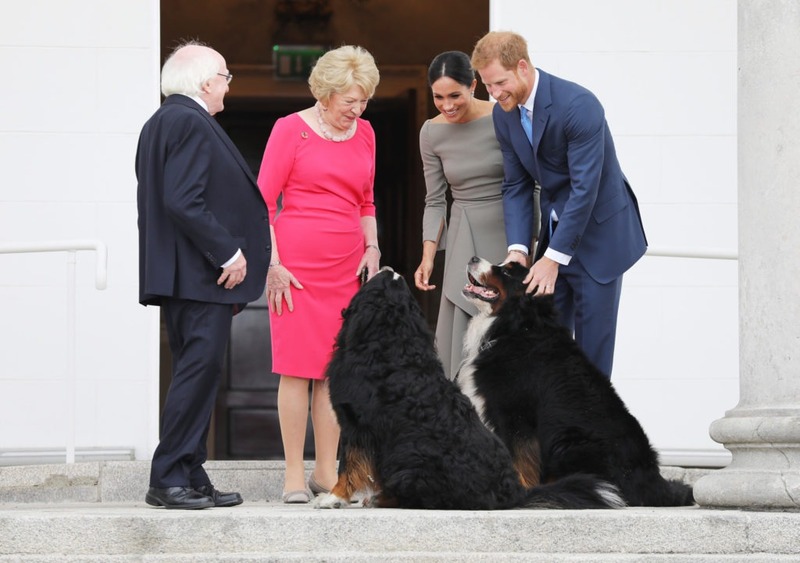 The pair also hung out with President Higgins’ dogs – which made for a very cute photo opp. 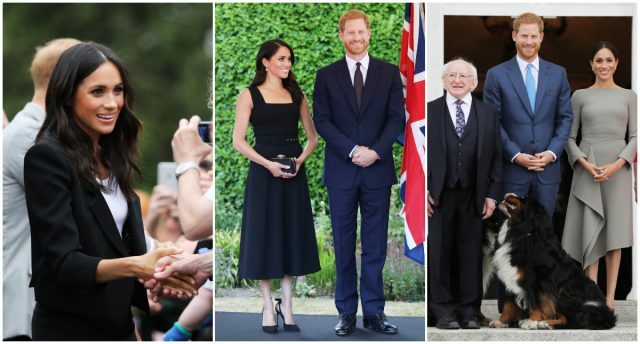 After meeting the President, Meghan changed into a chic black pantsuit for their trip to Croke Park – which is the home of the GAA. The pair were greeted by Uachtarán John Horan for a very special visit to the GAA Museum, and a demonstration of the Games. 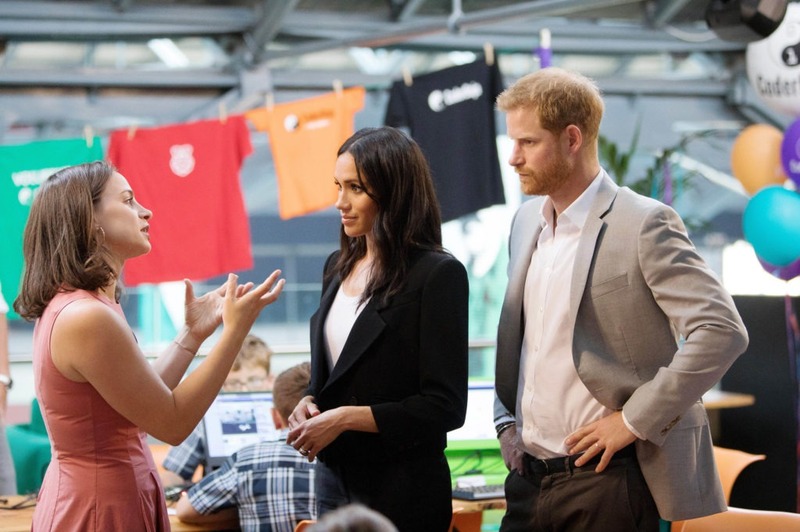 After their flying visit to Croke Park, the Duke and Duchess of Sussex visited the historic Trinity College. The couple were met by hundreds of people waiting in the square, as they made their way inside to see the Book of Kells. 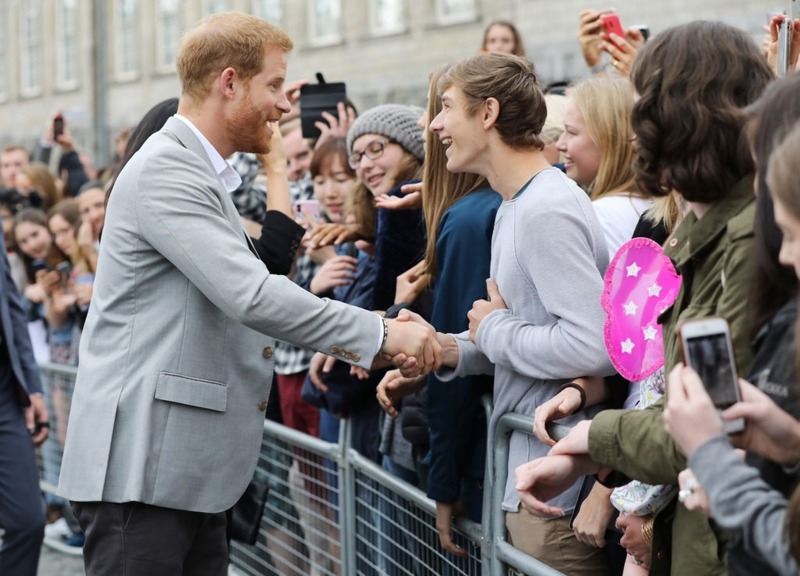 After seeing the Book of Kells, Meghan and Harry delighted fans by doing a walkabout the crowd. The Royals shook hands and spoke to members of the public for about 30 minutes, and they seriously stole people’s hearts. 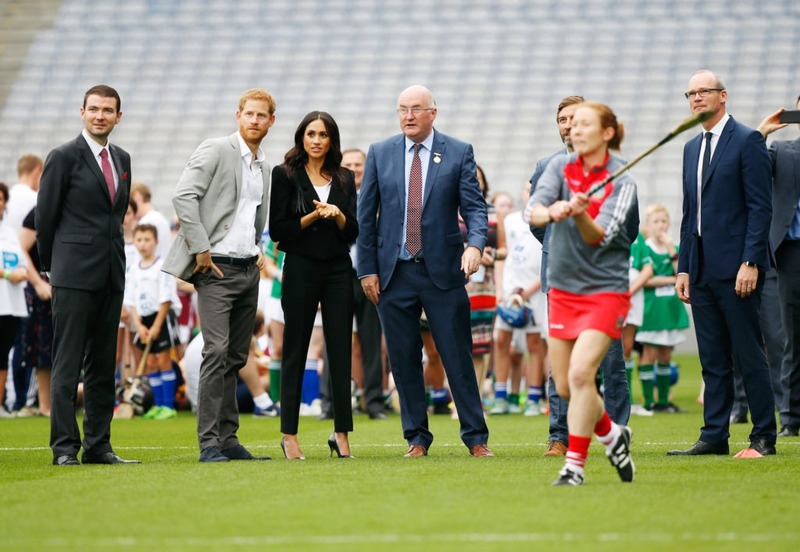 Goss.ie were on the ground at Trinity College, where we got up close and personal with the Duke and Duchess of Sussex. We also chatted to some royal super fans, who travelled far and wide to catch a glimpse of the pair. 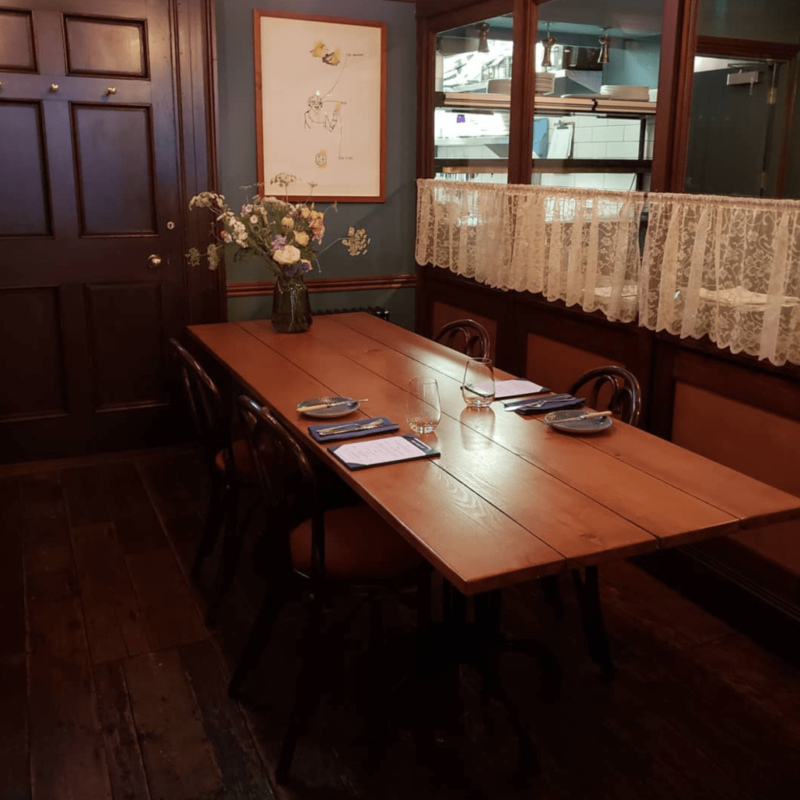 Following their appearance at Trinity College, the Duke and Duchess of Sussex popped into Delahunt on Dublin’s Camden Street for a private lunch. 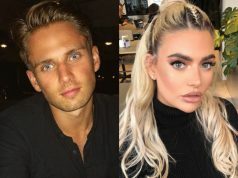 The pair enjoyed an intimate meal in the posh eatery, as armed Gardai manned rooftops around the premises to ensure their safety. 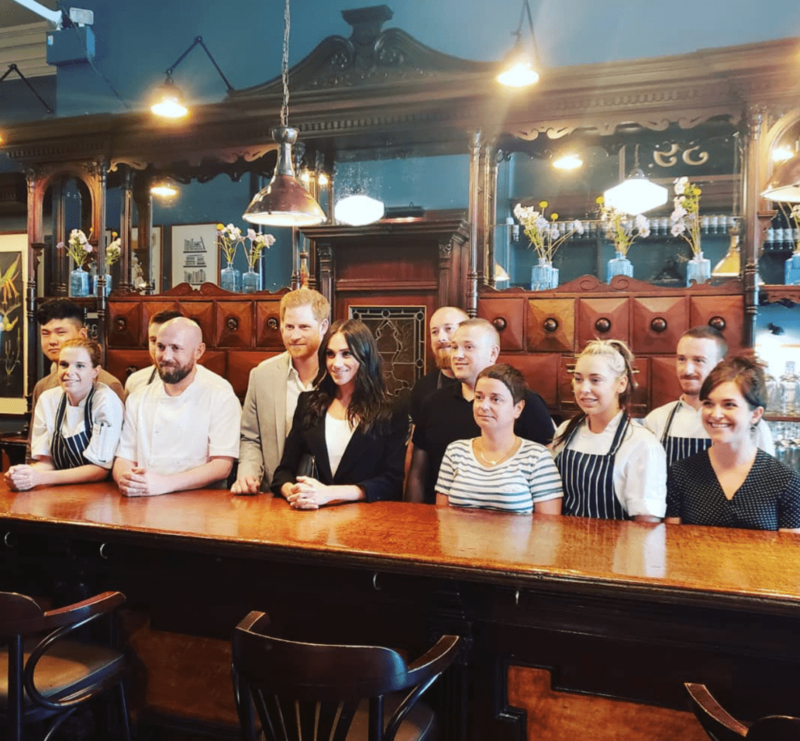 Staff at the restaurant were delighted to be welcoming the royal couple and shared snaps of their visit on social media. 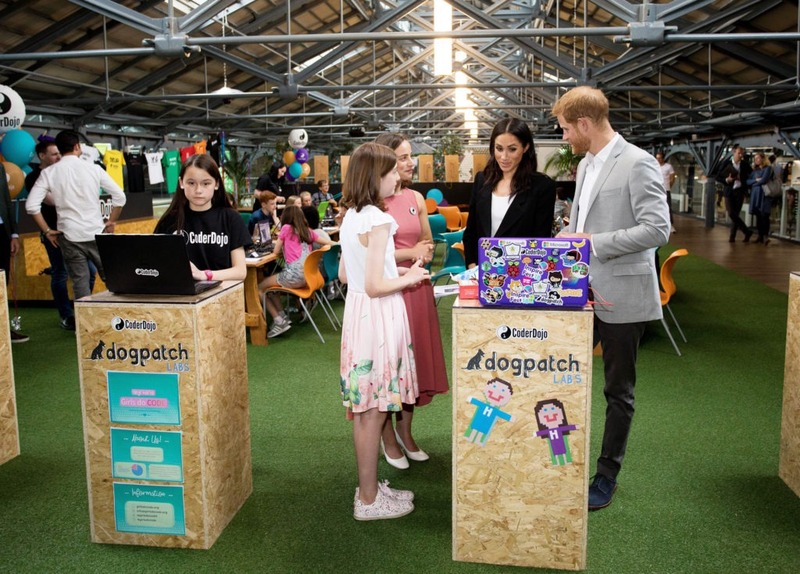 After a brief stop at the Famine Memorial in Dublin’s Docklands, Meghan and Harry met a group of young computer coders and social entrepreneurs at Dogpatch Labs, one of Europe’s leading startup hubs based in Dublin’s CHQ building. 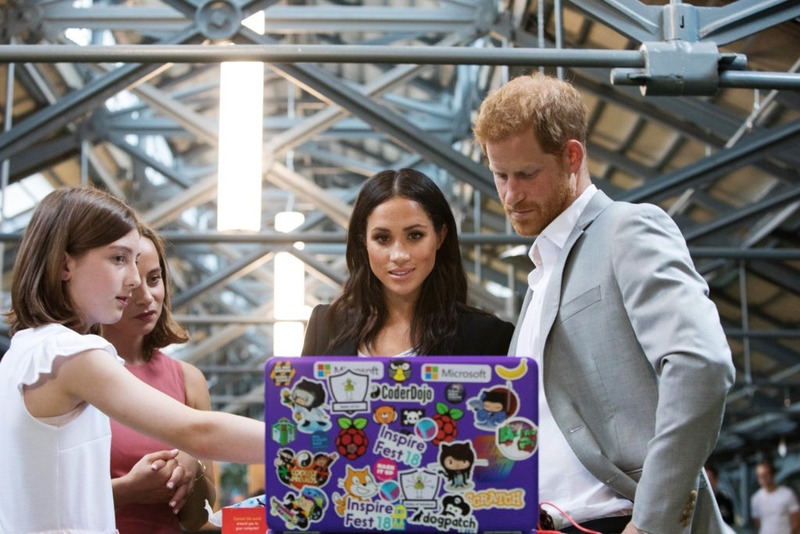 The couple spent time with children from across Ireland who take part in workshops run by CoderDojo, a global movement of free, volunteer-led, community-based programming clubs for young people. Anyone aged seven to seventeen can attend a Dojo for free – where they can learn to how to code and create with technology. 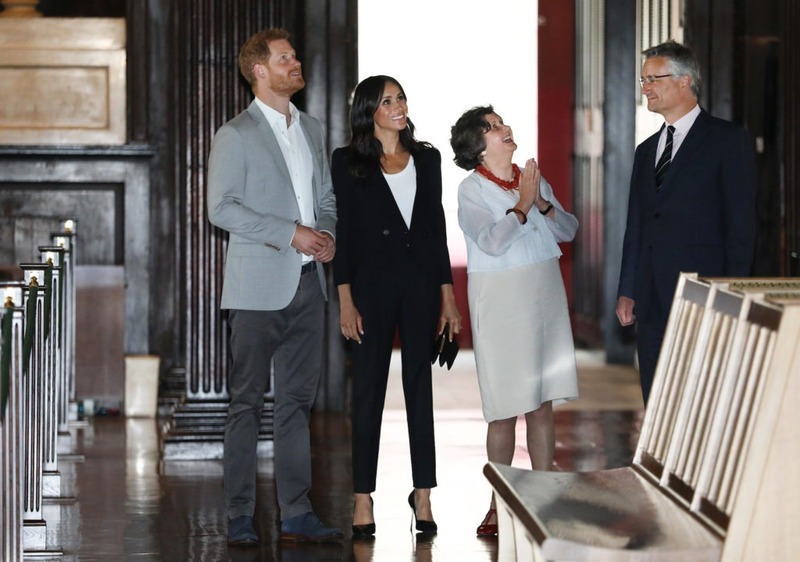 Harry and Meghan also visited the Irish Emigration Museum, EPIC. The Museum’s founder Neville Isdell and Assistant Museum Director Jessica Traynor provided the couple with a select tour of the museum, as they wrapped up their first official visit to Ireland.